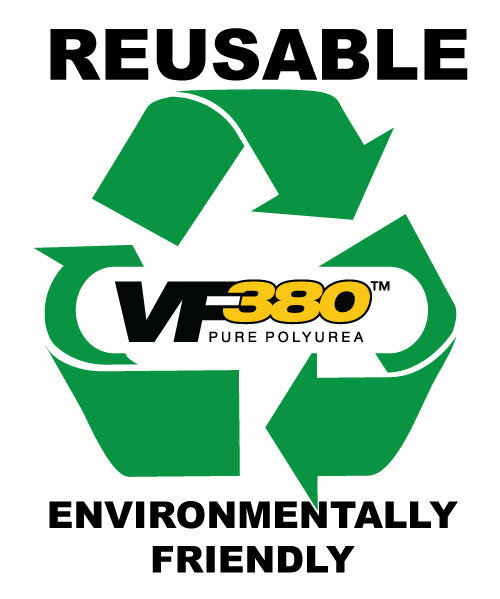 VersaFlex FlexTain 80 is a pre-sprayed composite panel system comprised of non-woven polypropylene geotextile and a 100% solids pure polyurea membrane system. FlexTain 80may be used by itself or in combination with other materials to produce wearing courses and resilient surfaces on a variety of substrates. FlexTain 80 membrane panel systems are inert; panel components will not hydrolyze, leach, or contaminate other materials, and surfaces are bondable and paintable.FlexTain 80 panel systems are relatively moisture and temperature insensitive, allowing installation in the most problematic ambient conditions. Standard FlexTain panels utilize a 10 oz. geotextile to insure durability and protect against handling damage. The standard 15’ X 40’, square foot panels weigh approximately 200 pounds and can be conveniently moved and handled by the field crew. The 8” seaming edge strips provide sufficient overlap to allow quality installation even in the most difficult geometries. 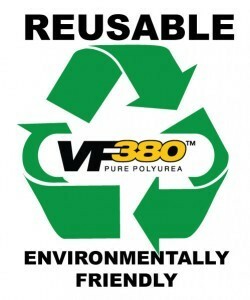 VersaFlex FlexTain 80 is a superior composite 80 mil liner designed specifically for industrial applications receiving intermittent attack from contained materials. FlexTain 80 is flexible, accommodating to movement of the substrate, yet strong enough to remain intact under all conditions except major structural dislocations. With or without reinforcements,FlexTain 80 may be used in transitional areas in interior or exterior applications.